Google has released a new beta that will alert CSS customers when there is a significant drop in the number of products eligible to serve on Google Shopping. The “Offer Drop Alerts” beta has been introduced to notify Account Managers of significant drops in their Google Ads eligible-to-serve inventory. This beta is available for all individual MCID’s and allows Google to send an email notifying the account holder whenever they detect that the number of active items for any combination of country and destination has dropped by more than 5% in the last 6 hours. Ultimately, these alerts allow us to react faster to significant changes within your eligible-to-serve inventory. As the alert is instant, our web developers are able to guarantee minimal downtime and get the issue sorted immediately. 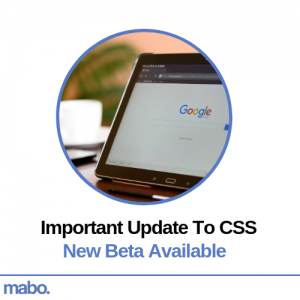 It is worth noting that this update is only available to advertisers taking advantage of a CSS Service and to only a select number of PPC agencies. As a Google Premier Partner we have exclusive access to betas such as this, meaning we are always able to keep our clients one step ahead of the competition. If you’d like to discuss how Mabo’s CSS service can benefit you, get in touch with one of our award-winning sales team by filling in the form below or giving us a call on 01287 244080.